As I begin my Christmas Shopping this year I knew that I wanted to revisit SmitCo. because they have many different products to select from- not just gifts for girls. 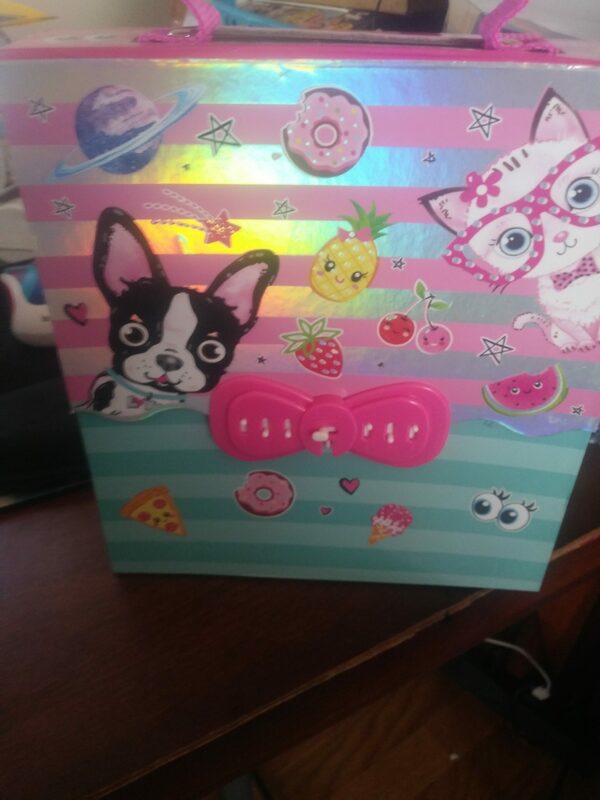 I would like to let you know I was able to work with them on a review through US Family Guide and they sent me Hot Focus Kids Coloring Set – Travel Toys On The Go For Girls in exchange for this review and the thoughts in this review are all mine and my families no, one else. There were many different reasons I chose Hot Focus Kids Coloring Set. 1) I picked Hot Focus Kids Coloring Set it contains Travel Toys On The Go For Girls so when my sister takes Lily to Oklahoma she will have something to do in the car. Keeping Lily in her seat and quit so Debbie can drive and there were enough items Lily can share this new toy with her brother Jason. 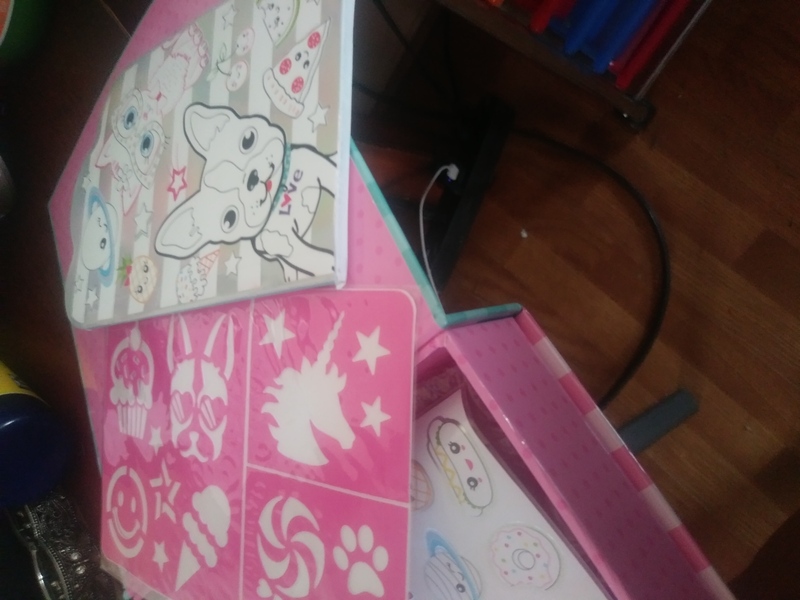 2) I liked knowing Hot Focus Kids Coloring Set comes in a Pet Theme Carrying Case with Passcode Lock, so Lily can lock it when she doesn’t want someone inside it and it teachers her and Jason how to use a lock. I also like the lock because it comes in a bow shape and it is pink Lily and my favorite color. 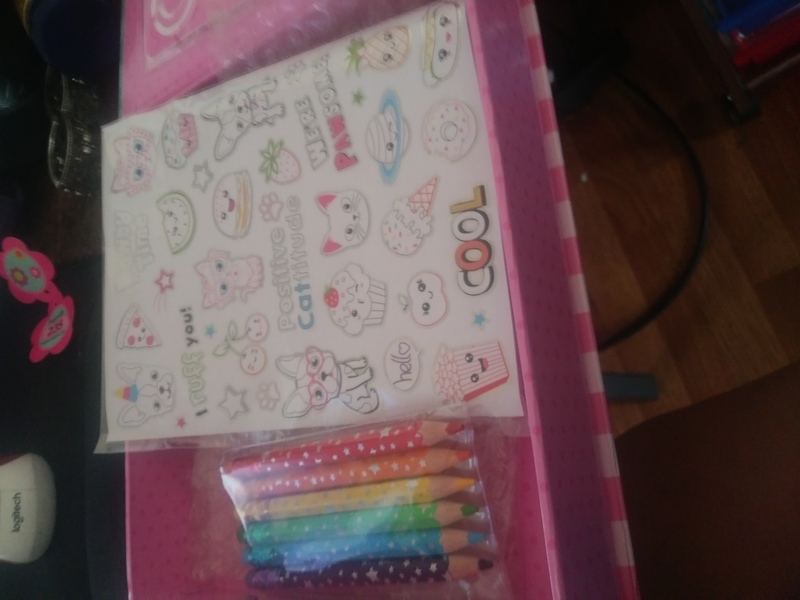 3) Inside are Erasable Coloring Pencils, Washi Tape, Blank Card Set, Stencil, Stickers, and a Booklet by Hot Focus which will keep Lily busy for hours and allow her to use her imagination and to create new and unique artwork. If you know someone Homeschooling like Charlie they could use Hot Focus Kids Coloring Set in his classroom for art although he would say Hot Focus Kids Coloring Set is pink and for a Girl then when he sees the kitten and dog on it I know Charlie would change his mind and use Hot Focus Kids Coloring Set or take it down to his sister Les to share with her and they could create Art projects. popular stretch jewelry sets for little girls – all packed in cute gift boxes. I would like to let you know my readers get to save!